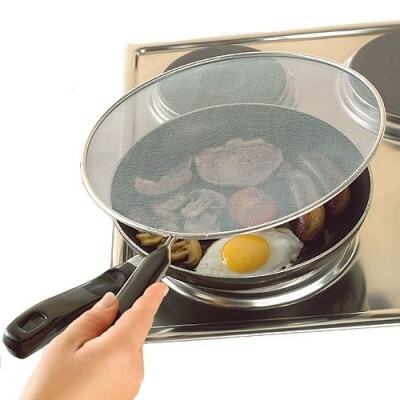 How would I prevent from spattering oil everywhere when pan frying? I was shallow-frying breaded chicken breasts for a General Tso's and got boiling hot oil EVERYWHERE in my kitchen, even burning myself multiple times. I would definitely prefer avoiding this in the future. Water rapidly expands and pushing/exploding the oil upwards. When you pick up a piece of marinated chicken/egged chicken, allow the excess liquid to drip off, or drag the bottom of the chicken against the side of the bowl before breading/coating. Ensure the chicken is completed coated, and place to one side to allow the coating to absorb some of the surface liquid and to harden up a little. Reduce splashing Lower the piece of chicken slowly into the pan and as it touches pan surface, slowly lay the rest of the chicken away from you. This will reduce splashing, and the direction of the splash will be away from you. Alternatively you can use tongs, chopsticks, or any other tool to handle the chicken which will increase the distance from the oil. Try to reduce the thickness of the chicken (if it hasn't been cut/pounded). 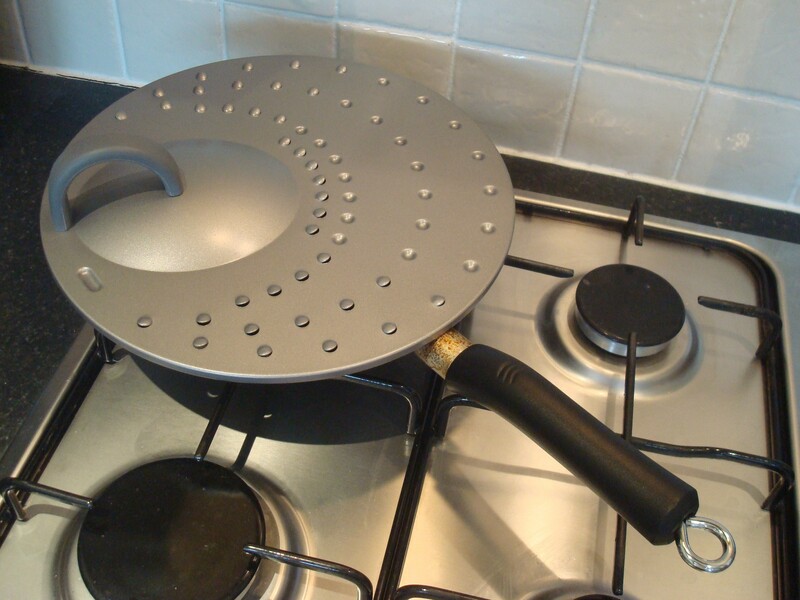 Use a deeper pan, this will reduce some of the spatter. Ensure you have the oil at the correct temperature. 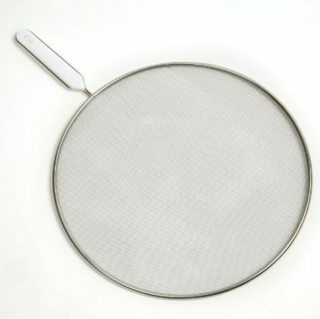 Use a splatter guard with a fine/double mesh, with smaller holes, or an odor/odour absorbing splatter screen. (In my experience the odor absorbing splatter screen performs well. It has a mesh screen that holds most oil, but air moves freely. This is just one, Amazon has many: Spatter Guard. For what it is worth, they don't have to be uni-taskers. They are great as steamers as well. 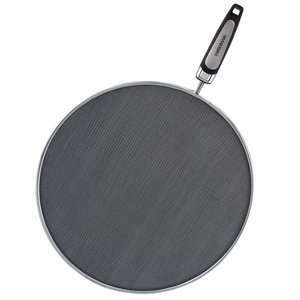 Awesome for sticky rice or to steam veggies. Just put an inverted bowl on top. Most are stainless steel and dishwasher safe. Not the answer you're looking for? Browse other questions tagged chicken frying oil pan or ask your own question. What is the safest, most effective way to cleave through thick bone?